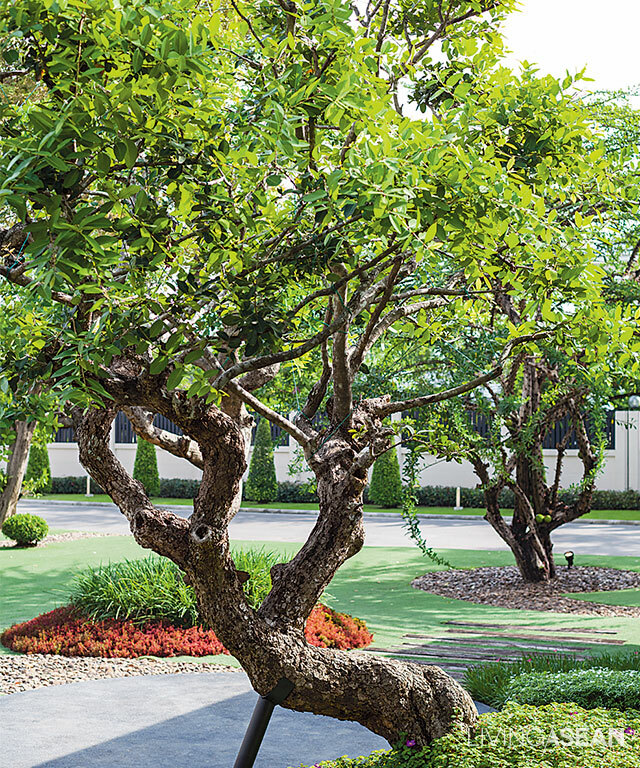 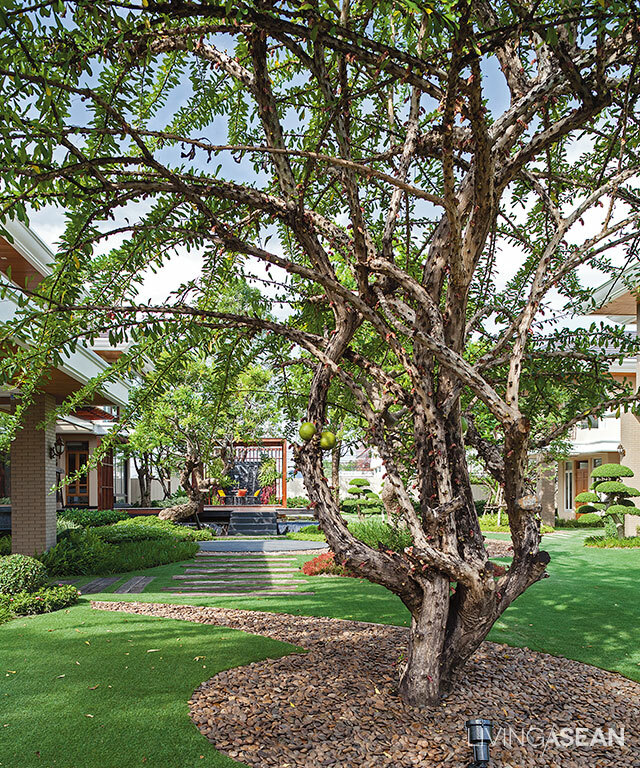 How do you blend artificial grass within a tropical design gardening? 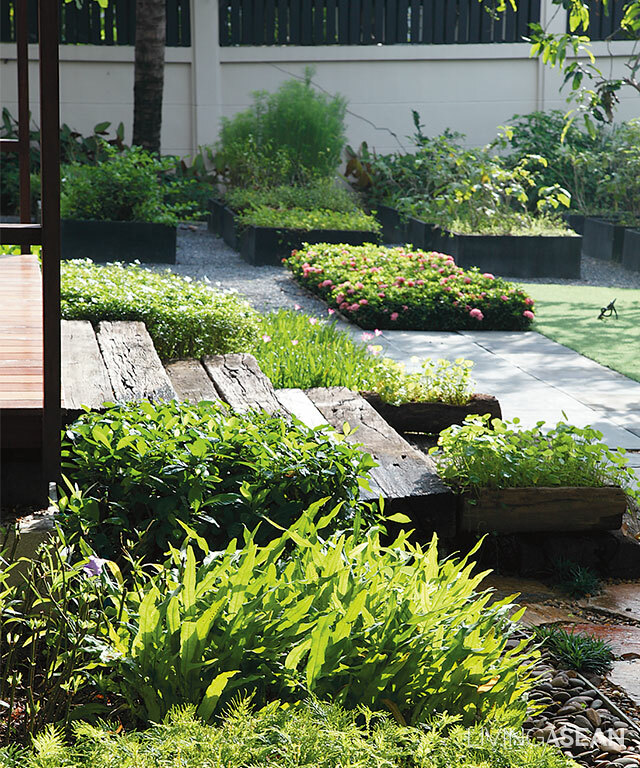 This garden will help you the imagine new ideas on how to use this low maintenance material to your garden. 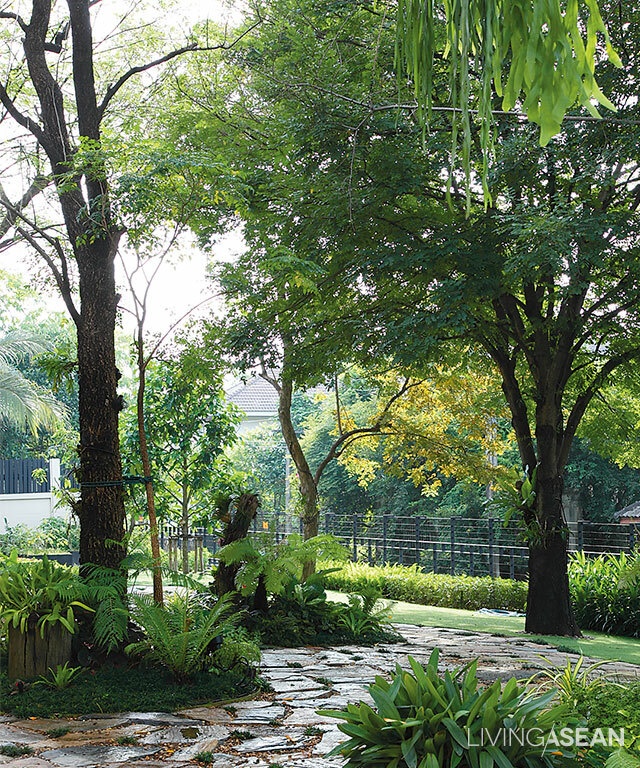 The Khlong Bang Ramat area in Thonburi is still full of plantations, and people get around by water: farmers paddle boats with crops to sell, tourist boats regularly ply the canals. 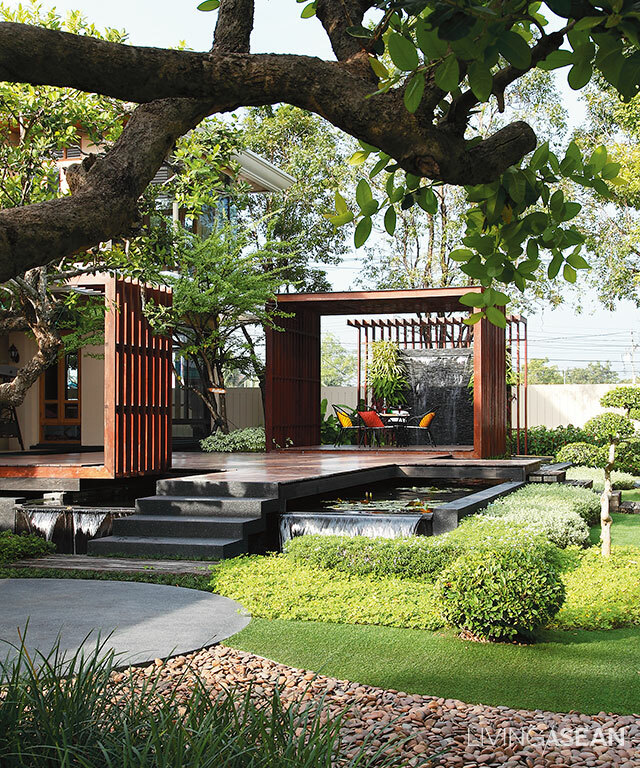 This is one reason Chaiyote Yanyongwayrote moved back here to create a beautiful home and garden. 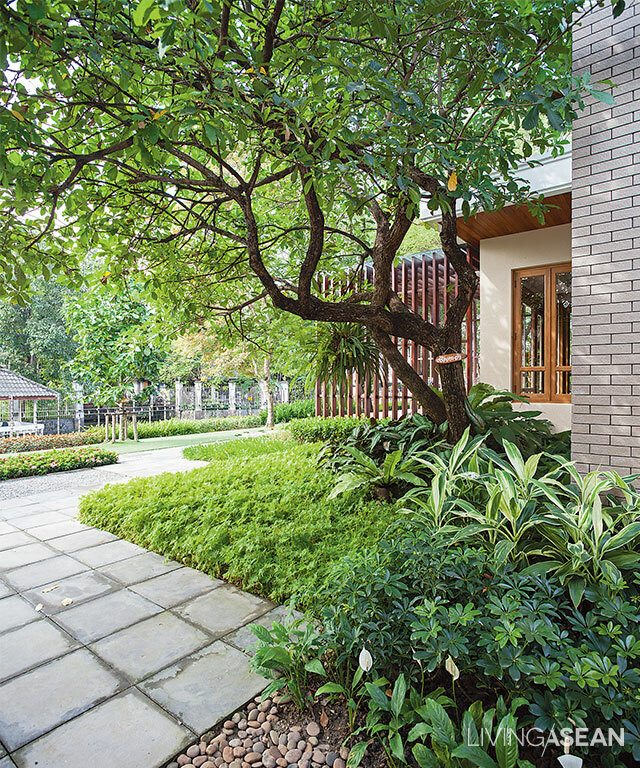 It took 6 years to build the garden and two contemporary-style houses (one for his daughter, the other for Chaiyote and his wife), but the long wait allowed trees and plants to grow to maturity. 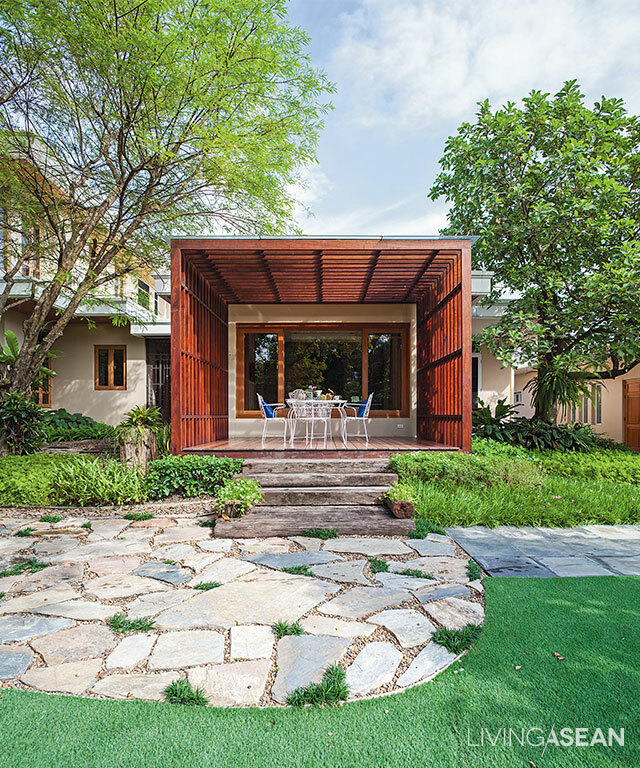 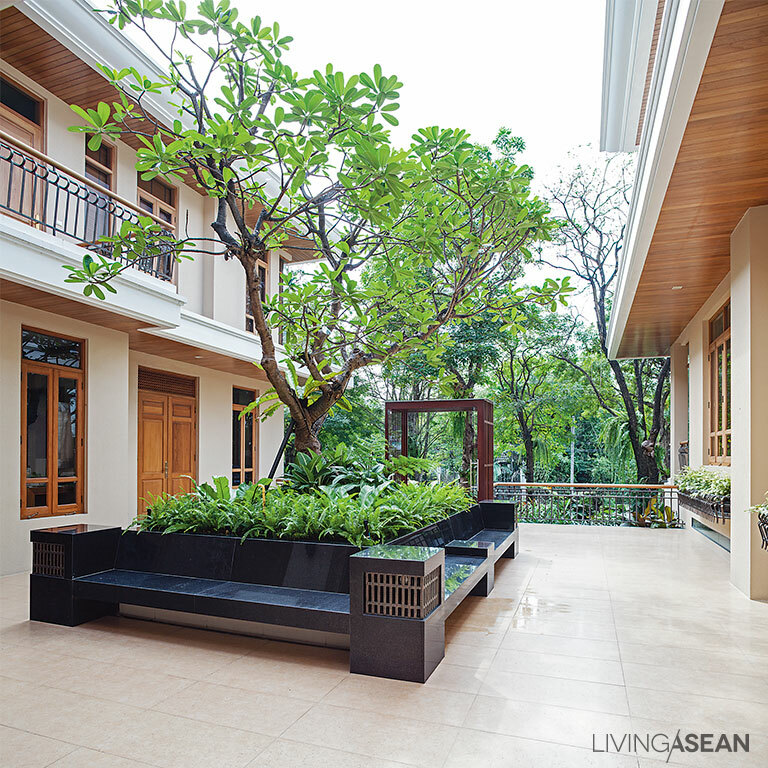 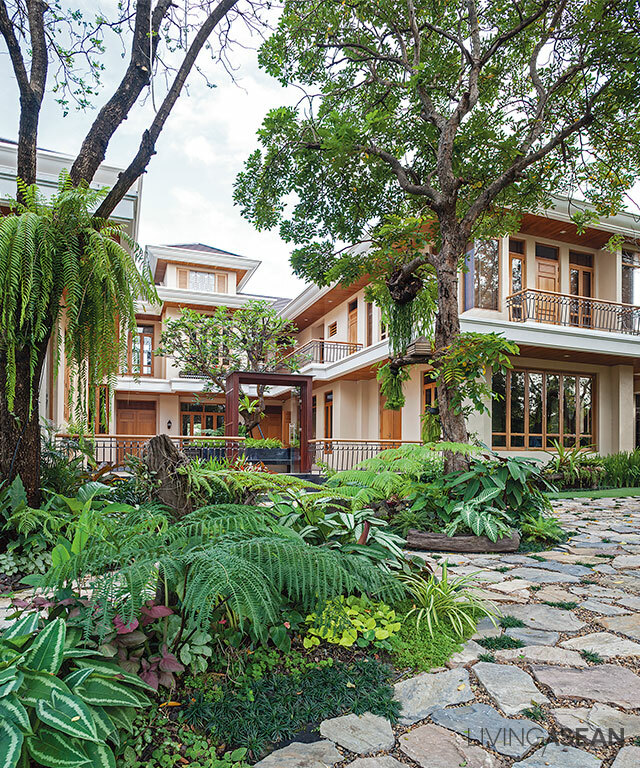 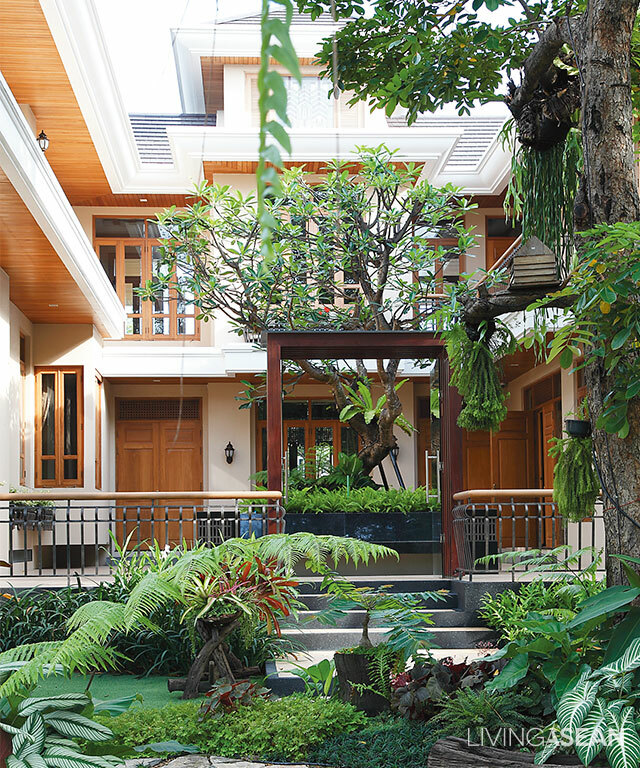 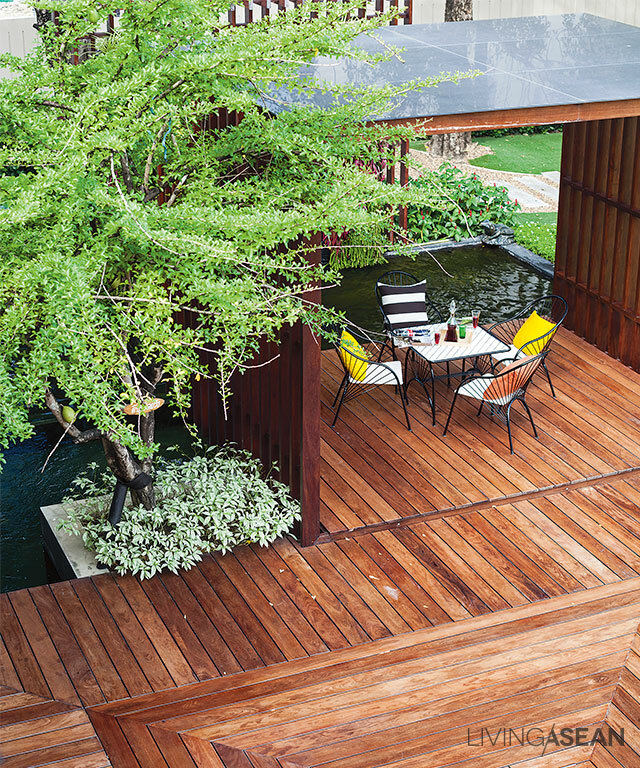 Each room in the houses – designed by Sathan Wijitsanguan–opens on three sides for panoramic garden views. 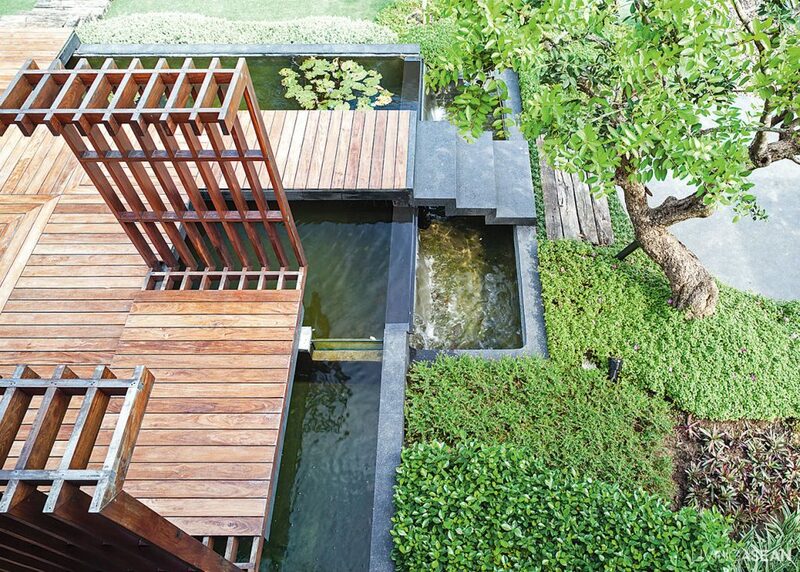 Matching trelliswork encloses deck and waterfall pond. 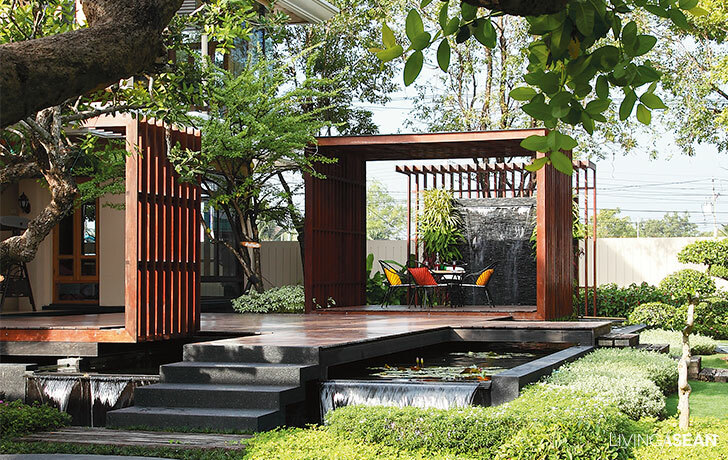 The house is modern contemporary with some Asian flavor, sothe garden keeps a proportionally orderly look. 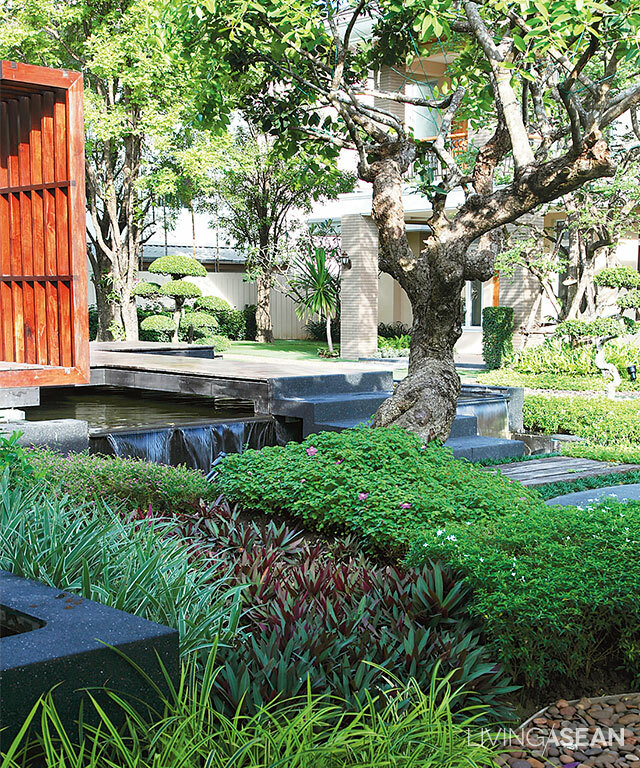 This orderly garden is wide and open. 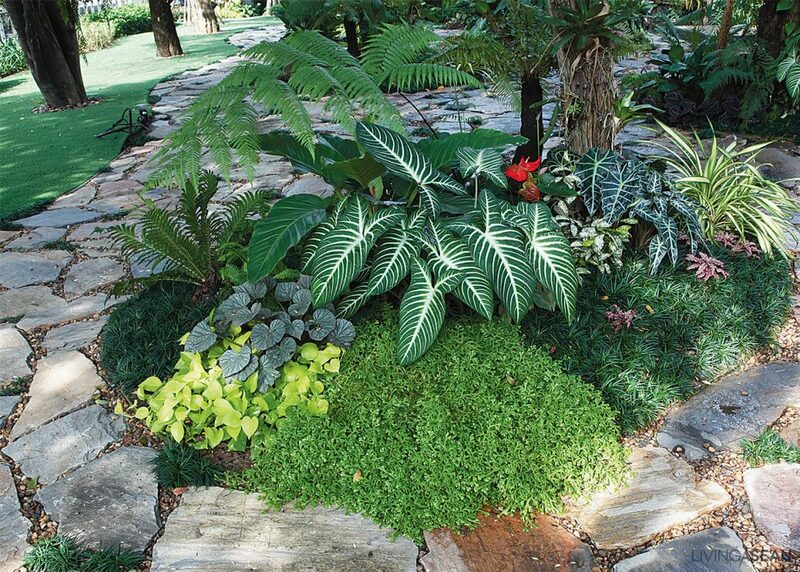 The hardscape and the artificial grass fits in well and has practical benefits, trimmed plants tucked away in appropriate spots. 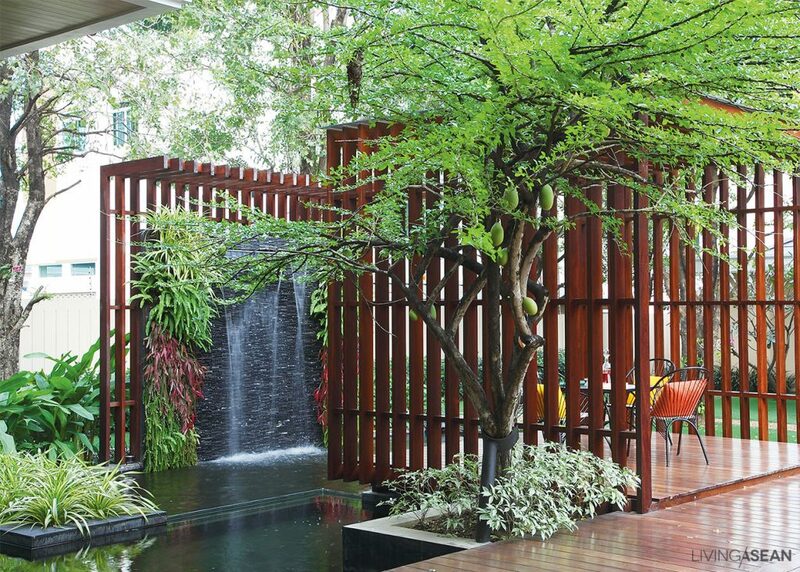 All in all, this is a highly pleasing mixture of the tropical and modern garden.